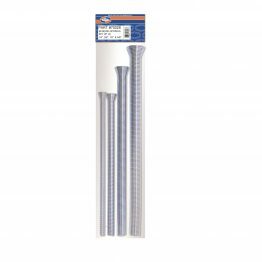 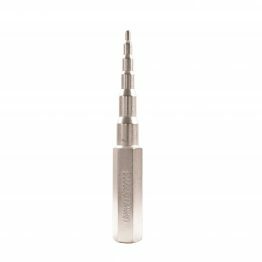 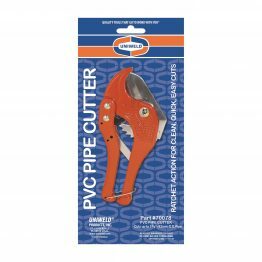 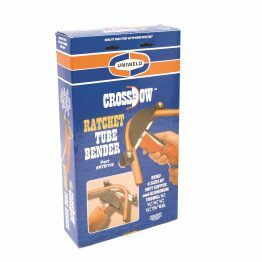 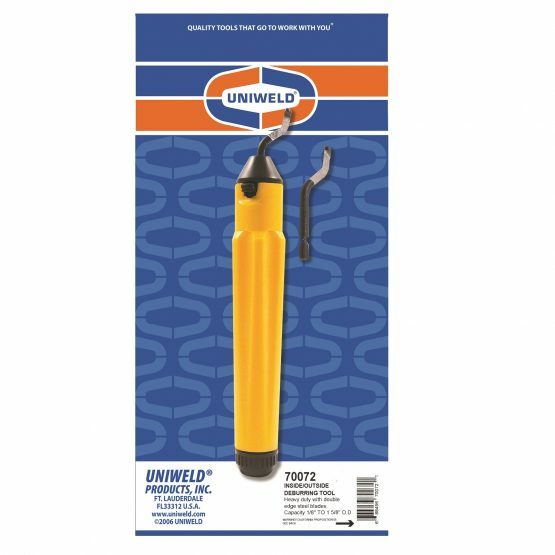 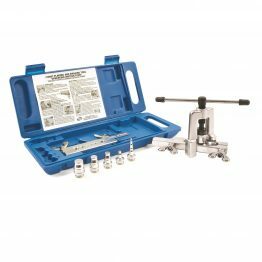 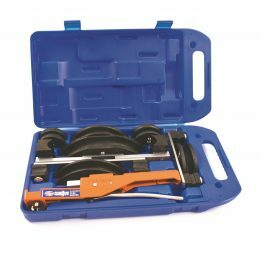 Deburring and Pinch Off Tools – Uniweld Products, Inc.
Uniweld’s 70072 Inside/Outside Deburring Tool quickly removes burrs and sharp edges on all size tubing. 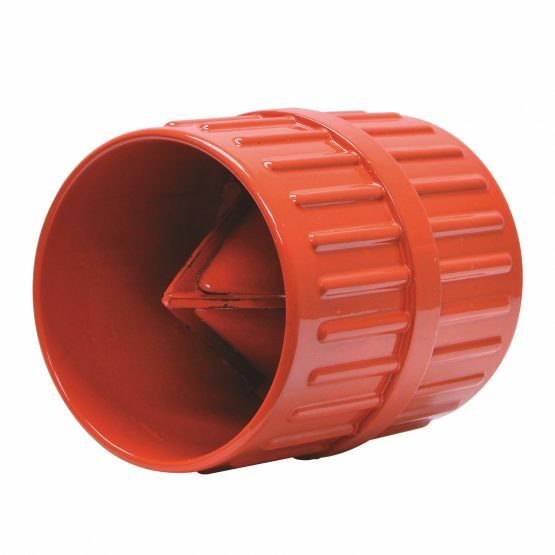 A removable end cap exposes a convenient storage area for replacement blades. 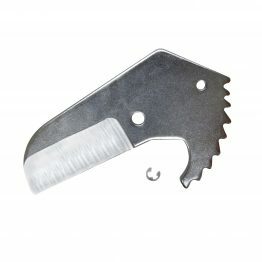 The 70079 heavy duty metal, inside/outside Deburring Tool removes burrs and sharp edges with double edge steel blades. 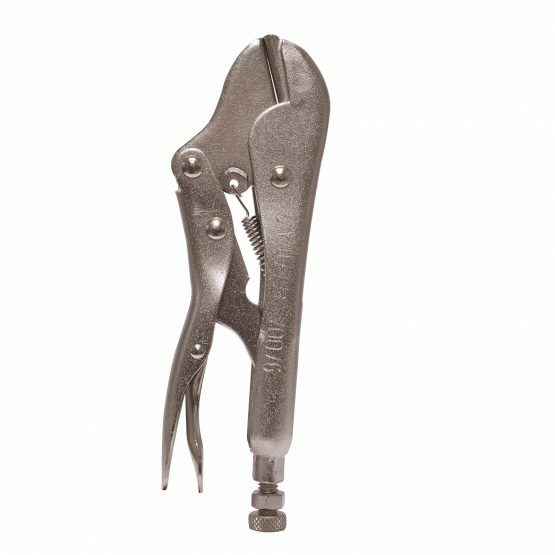 The 70076 is an effective way to isolate a piece of equipment in need of repair is to close off the tubing with the use of a Pinch-Off Tool. this works well in emergency situations that require immediate stopping of a leak.